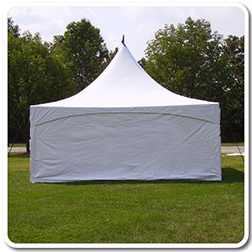 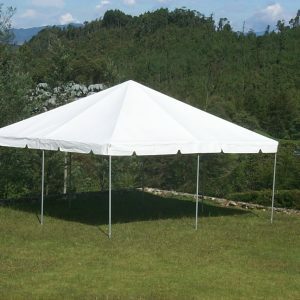 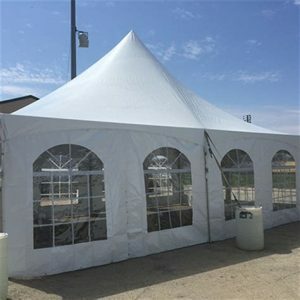 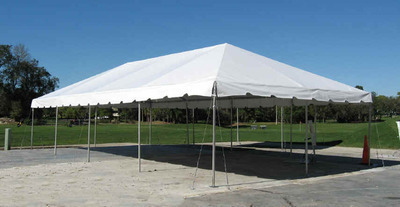 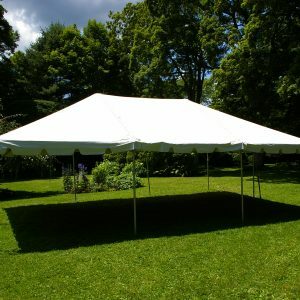 Frame tents can be installed on grass, pavement and concrete. 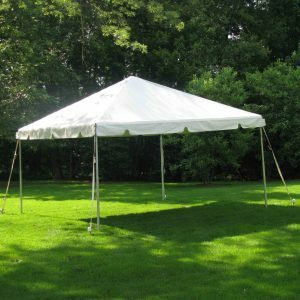 They are free standing and require stake or concrete anchors to secure them down. 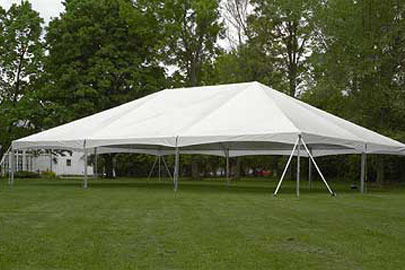 They offer maximum amount of space as they do not require center poles.